A very interesting article by kidswithfoodallergies.org. They have some very valid points which could help you when facing the issue of having a child with food allergies. 1. Communicate with the school. Start early—if possible, in the last term before the next school year. Find out if your school or school district has a school nurse. Write to the principal and school nurse. Tell them about your child’s food allergies and specific needs. Request a meeting with key people to start the planning process. 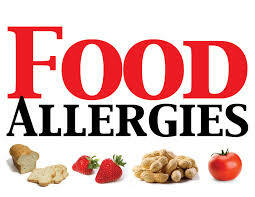 Ask if the school/school district has any food allergy management policies in place.
? Medication Authorization forms. These forms state if your child can self-carry and/or self-administer medications at school. These forms are required even if the medication will be stored and administered by school staff.
? Special Dietary Meals Accommodation form. You will need this form if your child will be eating meals provided by school.
? Emergency Action Plan (EAP) form. This form tells caregivers what to do in case of an allergic emergency. Work with the school to create a comprehensive Food Allergy Management and Prevention Plan. This is typically either an Individualized Health Plan (IHP) or a 504 Plan. Required prescriptions for emergency medications (epinephrine auto-injectors). If the nurse is not at your school, who takes care of students during the school day if they are sick? How does the health room operate during a typical school day? Where will your child’s emergency medications be kept unlocked during the school day? What experience has the school had with food-related emergencies? What are the procedures for shelter-in-place and evacuations? How are food and medications handled during emergencies? How are food allergies managed on school buses and during after-school activities? How does the school deal with bullying about food allergies? Is there a zero-tolerance policy? Does the school educate students about food allergies? Does the school nurse train school staff on managing food allergies? Who and when? How the school manages meals in the cafeteria, lunch area or classroom for students with food allergies. How students with life-threatening food allergies will request meals with safe substitutions once you submit the signed Special Dietary Needs Accommodations form. 5. Turn in all completed and signed forms and prescriptions before the first day of school. Special Dietary Needs Accommodations Form— if your child will be eating meals provided by the school. Epinephrine auto-injectors need to be in original package and labeled with your child’s name. Be sure these will not expire during the school year. 6. Make an appointment to meet the teacher to discuss classroom management of food allergies. 7. Teach and encourage your child to build age-appropriate skills to manage food allergies. Plus, you should periodically check in with your child to ask how they feel at school. 9. Work together to form a partnership with your child’s school. Document meetings and interactions via email summaries with key staff. Choose your battles wisely and volunteer when possible. Offer solutions whenever possible and collaborate with your child’s school. Keep in mind that a friendly approach will help you get a positive result if conflicts start to happen. Check in periodically with school staff to make sure the plan is working and your child is adjusting. all prices are in zar © 2015 ice id (south africa) ck2007/013835/23.